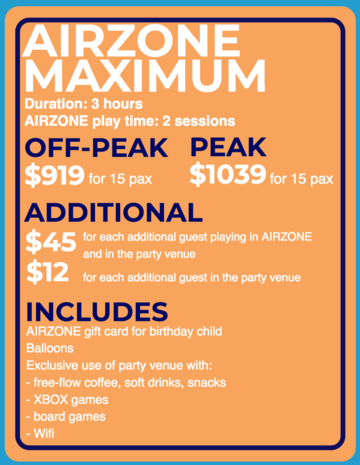 Have an unforgettable party at this extraordinary venue - AIRZONE! 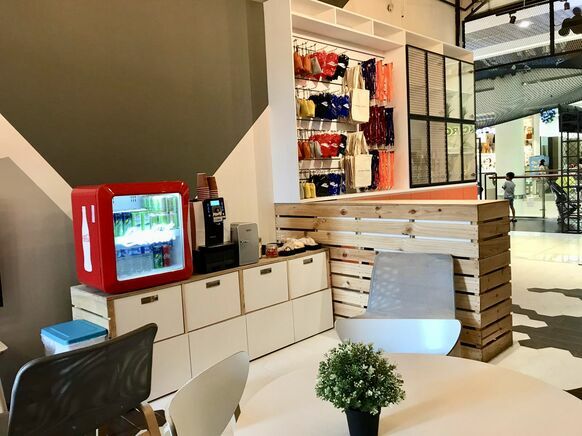 The young ones will love bouncing on our nets and diving into our unique suspended ball pit, while the young at heart will experience an adrenaline rush when looking down from the highest floor. 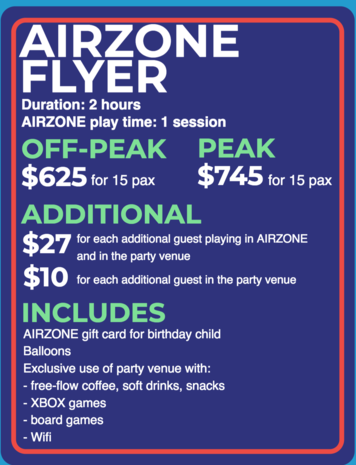 AIRZONE is a versatile party venue for creative play that is meant for all ages. 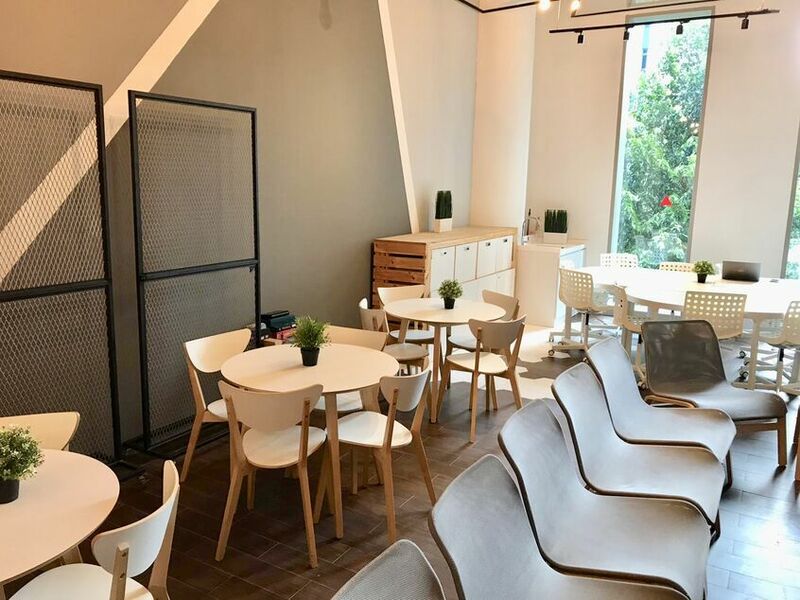 Celebrate in the private party room with free-flow coffee, drinks and snacks for everyone! 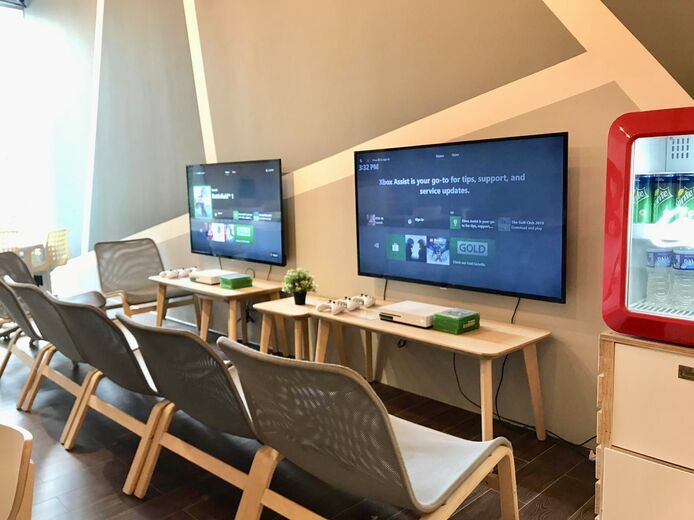 Party guests will also enjoy amenities like XBOX gaming, board games and free WiFi. Want to make your party even more special? Check out the many party add-ons we provide, or tell us your requirements and let us customise a special party for you. - Prices shown are nett. - Conditions of Entry apply. Please fill up the form below and we will get back to you. Enjoy off-peak rates for the March school holiday from Monday to Friday - 18 to 22 March! This means a discount of $120! Availability is limited. Enquire about availability using the party booking form below. © 2019 AIRZONE Singapore. All Rights Reserved.